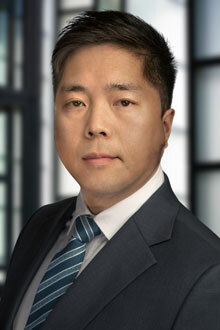 Marcus Lee is a partner in the San Francisco office of Lewis Brisbois and a member of the Labor & Employment and Korean Business and Litigation Practices. He represents and counsels employers in all employment-related matters – litigation, risk management, and policy preparation. Mr. Lee has tried cases in both state and federal court. He handles a wide variety of matters ranging from sexual harassment, gender/age/race discrimination, wage and hour disputes, and background checks. Mr. Lee also advises international companies on corporate law, with a focus on emerging growth companies, private financings, and mergers and acquisitions. Mr. Lee represents companies in a wide variety of areas including software, social media, biopharma, and other areas of technology. He works with several incubators in the San Francisco area. Prior to joining Lewis Brisbois, Mr. Lee represented and advised entertainment clients on employment and corporate related matters for several years from a boutique practice in Beverly Hills, California.